Possibility to spend the night at Miami airport (MIA), if open 24 hours. Services available, places to rest (free resting zones), or look for the list of nearby hotels and vip lounges..
For those passengers whose flight is delayed or rescheduled, or if they have a connecting or departing flight early in the morning, the airport terminals are open 24 hours a day. However, some sectors of the boarding area close at night, so if you wish to spend the night in that area, you have to make sure to leave or enter the right place before it closes. It is suggested to have an eyemask and earplugs, as inside the enclosure there is a lot of movement even at night and it can get pretty noisy. When flights are cancelled due to inclement weather, the airport staff can provide with a sleeping cot. Where to rest: According to user comments, there are no comfortable chairs for sleeping, since they all have armrests. Therefore, the best option is to lay on the floor. For this, it is recommended to have blankets or a sleeping bag, since the place is usually cold. The carpeted floor of the North Terminal seems to be the most comfortable. 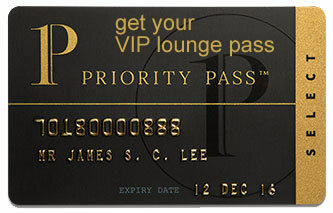 Another option (by paying or through a credit card that provides the service) is to use one of the VIP lounges, where you can access more amenities and privacy. The Avianca VIP Lounge is open 24 hours a day, but the rest closes at night. SEE VIP LOUNGES If you want to sleep without interruptions, there are several hotels nearby, and the Miami International Airport Hotel is situated in the Central Terminal, with half-day rooms. Baggage: On level 2 of concourse E there is a luggage storage service available from 5:00 am to 9:00 pm, so if you have not checked in yet, you will have to spend the night with your bags on your back. Eating and drinking: A few fast food stands in concourses D, E, F and J are open 24 hours a day. Restrooms: There are showers inside some of the VIP lounges. Wi-Fi: The service is free and there are several connecting points in different areas of the terminals. Other services available around the clock: ATMs, baby changing facilities, children's play area. The Miami International Airport Hotel (Tel +1 305 871 4100) is found on the second level of the Central Terminal. There are many other accommodations nearby and in the city centre with transfer services for their guests. Sheraton Miami Airport Hotel & Executive Meeting Center (Tel +1 305 871 3800), Holiday Inn Express & Suites Miami Airport East (Tel +1 786 878 5555), Red Roof PLUS+ Miami Airport (Tel +1 305 871 4221), Embassy Suites by Hilton Miami International Airport (Tel +1 305 634 5000), Element Miami International Airport (Tel +1 305 636 1600), MIA Airport Villas (Tel +1 786 334 6500), Staybridge Suites Miami International Airport (Tel +1 786 629 1413), EVEN Hotel Miami - Airport (Tel +1 800 253 3836), Courtyard Miami Airport (Tel +1 305 642 8200).